Every time I found myself “under the weather” on account of the pesky and all too common cold, both my parents would ask the exact same question: “did you take some Vitamin C?” You see, when they posed this question, they weren’t just asking if I took a singular tablet of the round chalk known as L-ascorbic acid, but in actuality were telling me: “you need to take two 500mg tablets of Vitamin C throughout the day and you need to start immediately.” So I did. Why shouldn’t I? The two people who I trust more than anyone and who have lived on this Earth far longer than I are saying this orange juice you can chew is going to help me feel better in a smaller amount of time. What do I have to lose? I actually continue to take Vitamin C to this day when myself or someone around me has a cold because, as far as I’m concerned, it helps. At least, I thought it did. However, now I’m living on my own with a roommate and just as she found herself “under the weather,” I found myself reaching for the canister of acid in the dose of 500mg. Except this time, I stopped to ask myself: does Vitamin C really work or do I just think it works because I’ve been taught that it does? As it turns out, many people have sought answers to this question. In fact, there have been over sixty years of research and a plethora of double-blinded placebo controlled studies on whether or not mega-doses of Vitamin C (2,000+mg) make the duration of the common cold shorter, prevents colds from happening, and helps alleviate or lessen the severity of symptoms. According to the National Institutes of Health, Vitamin C is a “water-soluble nutrient” that helps protect cells from the damage free radicals inflict. It also has to be present in order for collagen to be made and iron absorption to take place. On top of that, Vitamin C does, in fact, help the proper functioning of the immune system as well as assists in protecting the body from disease. With that being said, the answer to the question posed should be easy. 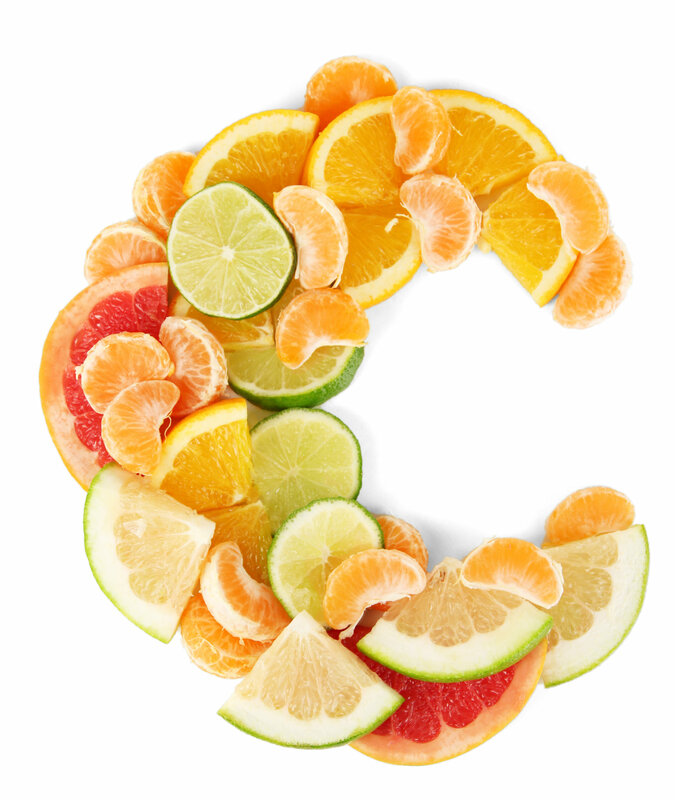 Vitamin C helps prevent, get rid of, and lessen the severity of the symptoms of the common cold, right? Wrong. It was Linus Pauling who first conducted a double-blind placebo study and published a book entitled “Vitamin C and the Common Cold” in 1970. He stated that there was a positive correlation between Vitamin C and the common cold in the sense that it decreases how often the common cold occurs as well as the severity of it. Well, on the other hand, studies like the European Journal of Clinical Nutrition’s concluded the exact opposite by stating that Vitamin C reduces the frequency of the common cold but has no effect on its duration or frequency. However, they relied entirely on the reactions of their patients. Therefore, if I had to make a hypothesis as to why this situation occurred, I would infer that it was the result of a confounding variable. For example, this study took place in one specific region in Japan that contains the “highest morality of gastric cancer” which could have something to do with the why the study ensued as it did. For now, I just want to sum up what all of this means, and the shortest way to do that is by saying this: the studies and corresponding results between Vitamin C and its ability to prevent, shorten, and lessen symptom severity of the common cold are completely and utterly inconclusive. So until somebody tries a different dosage, pool of patients, or study entirely and makes a breakthrough, we’ll never know if Vitamin C truly helps or not. 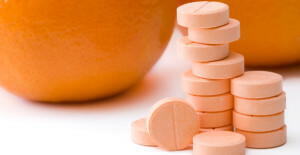 It’s easy to say there may be a small connection between Vitamin C and the common cold but until we know for sure the studies observed might as well be chance. So what does that mean for victims of the common cold like you and I? Well, that’s entirely up to you. I know I am going to continue taking my Vitamin C tablets and drinking my orange juice whenever need be. However, if you’re a skeptic–unlike me–go ahead and try for yourself. You just might be one of the lucky ones that feels better. This entry was posted in Uncategorized and tagged ascorbic acid, common cold, first post, health, vitamin c on September 2, 2015 by Jenna Campbell.